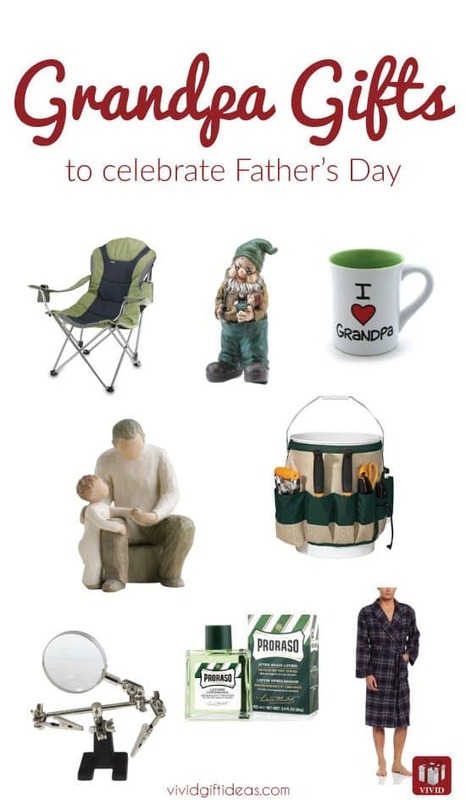 Thinking of what to get for grandpa this coming Father’s Day? Preparation of gift made easy with our gift guide below. 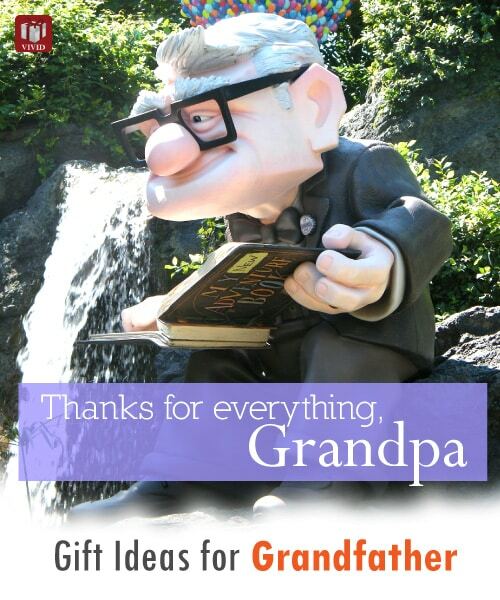 Our list consists of 10 unique gift ideas for grandfather. Most of the ideas shown below costs less than $30. Read on for more details! 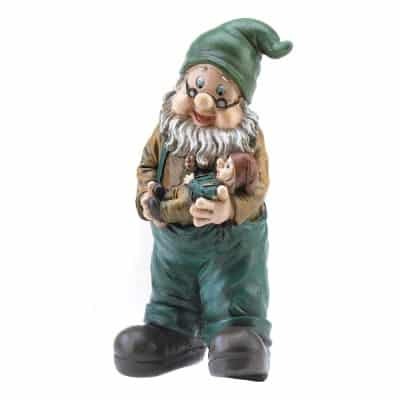 A grandpa gnome is carefully holding his grandchild in his arms, giving the little one tender loving care. This garden décor is made from polyresin. It is nicely weighted and painted beautifully. Lovely décor for the first time grandpa. 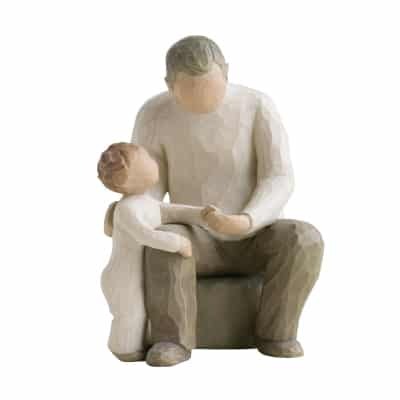 An artsy figurine that depicts the love between grandfather and grandchildren. Hand carved by artist Susan Lordi from her art studio in Kansas City, Missouri. 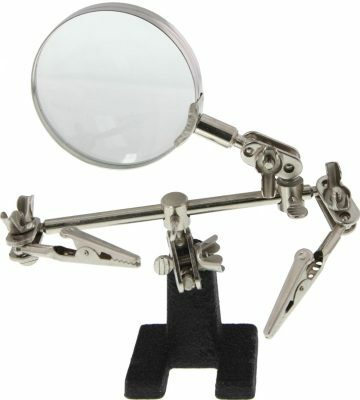 This figurine is crafted with the highest level of details and it looks flawless from every angle. It works great as a home decor for the living room, bedroom, or the hallway. 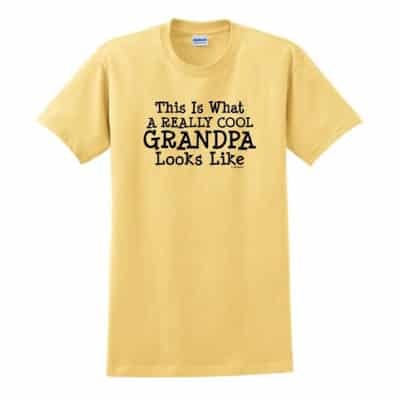 A cute tee that will definitely make your grandfather feel awesome when wearing it. Reads “This is What a Really Cool Grandpa Looks Like”. Made from 100% cotton. 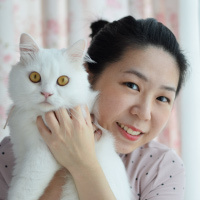 It is soft and comfortable. Also available in green, blue, grey, red and white. Are you feeling proud to be the grandchild of the world’s greatest grandfather? 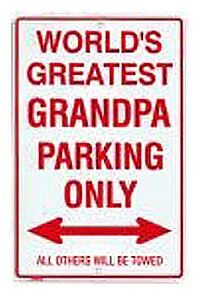 This red and white cute looking metal parking sign is a nice gift for grandpa. Put it in the garage or the spot where he parks his car to make him proud! 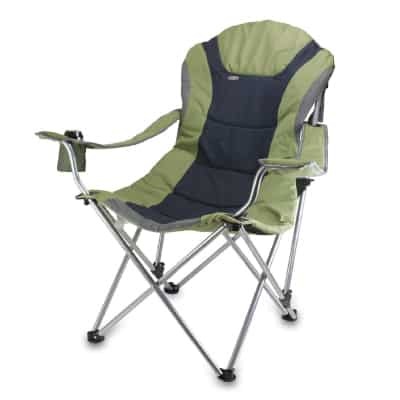 This reclining camp chair that receives overwhelming positive feedback is great for outdoor activites. It features comfortable padded seat & back rest, adjustable seating positions, and adjustable arm rests. 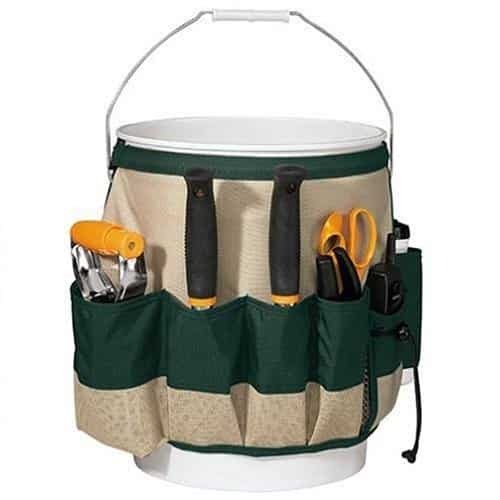 At the back of the chair, there is a large zippered pocket for storage. This chair can hold up to 300 pounds. 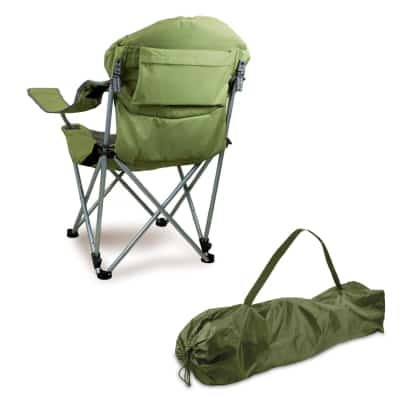 It is designed for easy transportation; can be folded and store into a matching storage bag. 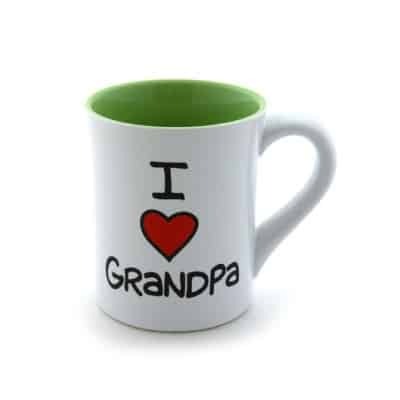 This Father’s Day, you can also get a big capacity mug for him to enjoy his favorite beverage every morning. Graphic by designer Lorrie Veasey. 16 oz capacity. Bright colored, good quality. 16 oz capacity. Microwaveable and dishwasher safe. Comes in a nice gift box. 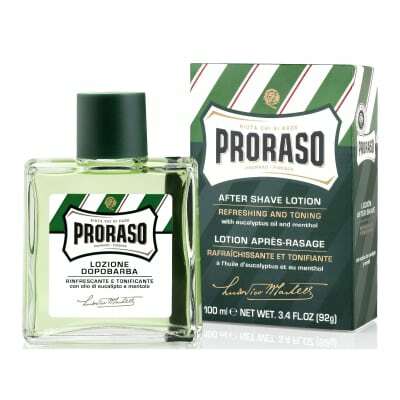 An excellent aftershave lotion for men to pamper their skin. Subtle, clean scent. Added with witch hazel to sooth irritation and keep skin feeling fresh. Great for razor burn and sensitive skin. One of the best Father’s Day gifts loved by men. Ideal for grandparents who experiences muscle tension and soreness. Wrap around the neck for relaxation of muscles at neck, shoulders, upper back and chest. The warm heat and pressure helps relieve neck pain, upper back pain, shoulder pain and headaches. 4 heat settings. Comfy and relaxing. 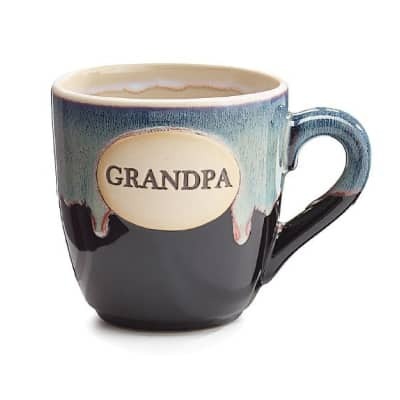 This is the last item in our list of gifts for grandpa. Stylish checkered bath robe by Dockers. Looks classy on elderly men. Featuring two front pockets and a matching belt. Made from good quality cotton, fit well and wash well. That’s the 10 gift ideas for grandpa brought to you by Vivid’s. Thanks for reading.